Paul Pogba has bought diamond-encrusted World Cup championship rings for the entire France team. Les Bleus lifted the World Cup trophy in the summer of 2018, defeating Croatia 4-2 in the final at Luzhniki Stadium in Moscow. Pogba was on the scoresheet in that match, making it 3-1 in the second half to give France the goal that would ultimately prove to be the winner. 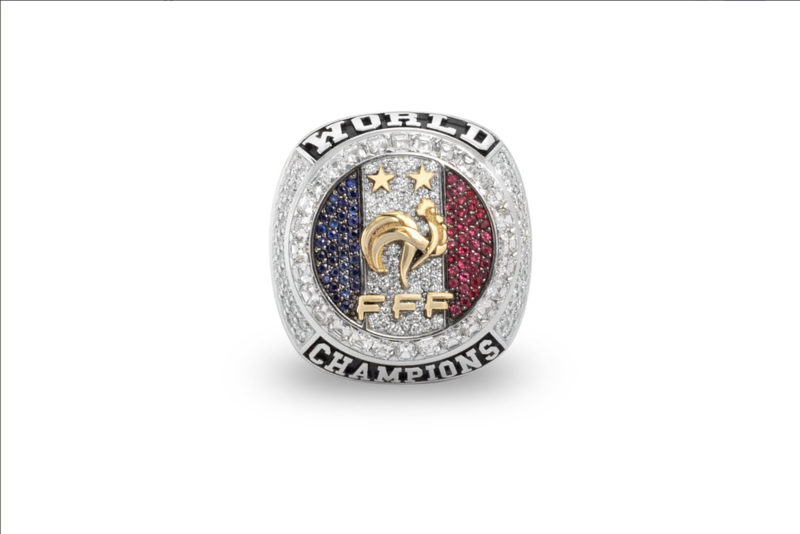 To commemorate France's second World Cup crown, Pogba commissioned championship rings to be made for his team-mates. Pogba presented the championship rings – usually a tradition reserved for American professional sports teams – to his team-mates while on international duty this week. Jason of Beverley Hills, the designer of the ring, posted pictures of the jewelry on their official Instagram account. "It's a small gesture after winning a World Cup with great players," Pogba said at a press conference on Wednesday. "I consider them my family. It's a small gift from me. "A small gesture like that is nothing because a World Cup is for life. This ring you can lose, but the World Cup you do not lose that." France midfielder Blaise Matuidi posted a picture of himself and Pogba posing with the rings on Instagram. "Unforgettable gift for an unforgettable memory. Thank you from the bottom of my heart for the jewelry," the caption said. France begin Euro 2020 qualifying at Moldova on Friday, before facing Iceland at Stade de France on Monday.